Have you ever thought while visiting the nature tour especially the waterfall, you can only see the charm of beauty but can not enjoy the coolness of the water with a swim? Although it can swim whether the waterfall safe? Do not let the waterfall is dangerous, like the flow of water that comes down very swift make the deep valley that can make you sucked into it. Well, if you like beautiful scenery as well as can enjoy it directly then Banyumala waterfall is the best location. 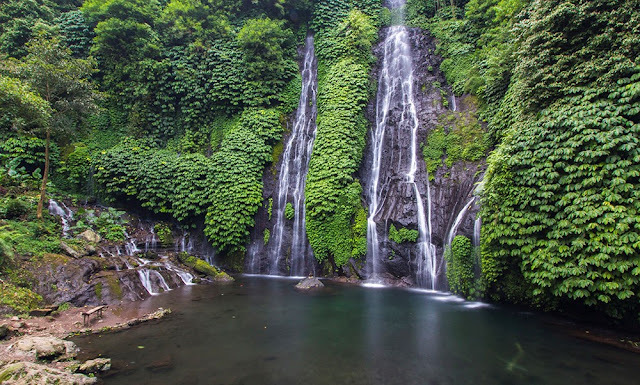 Here I will explain why this waterfall is arguably one of the best waterfalls in Bali. 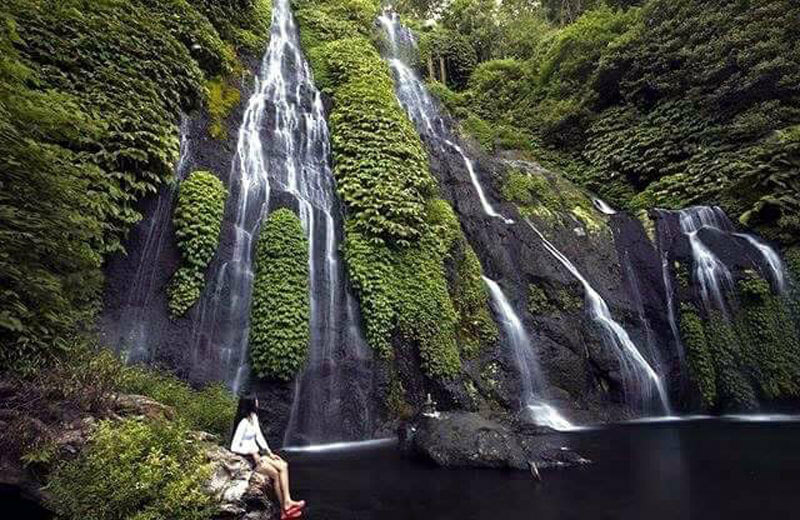 There is in Buleleng Regency where this district is a waterfall paradise and almost 90% of the tourist attraction here is the waterfall and most of the waterfall in Bali is in Buleleng Regency. 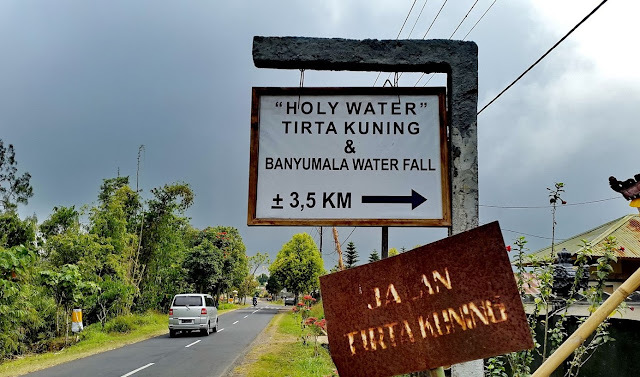 It's easy enough to find it, you just need to go to Bedugul as the main benchmark, then drive north again until you find a fork in the road between Busung Biu and Singaraja. Turn left on the right on the main road above Lake Buyan and Tamblingan. Banyumala Waterfall, with clear and cool water. Bali with a myriad of types of waterfalls indeed makes you confused to choose which waterfall you should visit. Starting from spectacular waterfalls to stunning, from short and short to high and towering. All you can find in Bali. and if you like a waterfall that has all these criteria but still safe to do water activities like swimming then Banyumala waterfall is the answer. Banyumala waterfall is located at the bottom of the valley with three sides of the waterfall and the largest and highest is right in the middle, then the smaller waterfall is on the right and left. Just below the Banyumala waterfall, there is a pond that formed naturally and in fact, this is what makes this waterfall became very famous. With very clear water and calm makes you feel safe swimming in it. Once clear you can even see the bottom of this pool when viewed from the top even though the deepest place can reach a depth of 2 meters. The diameter of this pond I estimate to reach 20 meters with a nearly round shape so that enough room for many people to swim in it. Can not swim who's scared! You can choose which side gets into the water and you can learn to swim. I suggest coming avoid the weekend day to get the perfect feel. The unique thing that I witnessed when visiting the waterfall Banyumala when most visitors were "aloof" alias they just come alone and can be stunned long there. Not surprisingly, I removed the camera that I carry and accompanied coffee or tea warm, with a cool climate because it is in the highlands make you feel at home here. Remember what I said at the beginning? When you find the direction of the waterfall Banyumala then there is a road about 3 kilometers more with a less good road. So be careful driving your vehicle. Although you can bring four-wheeled vehicles, you need to park the vehicle further as the access road continues to narrow. When you get to the parking lot, there is another path so you have to walk about 400 meters till you find a ticket post with a small kiosk next to it. only need to pay 10 thousand rupiahs to get into the waterfall area. Not finished there There is a smaller path with a fairly steep artificial road so pay attention to your step especially during rainy days. Quite exhausting to reach the waterfall but all will be paid when you get to the Banyumala waterfall. 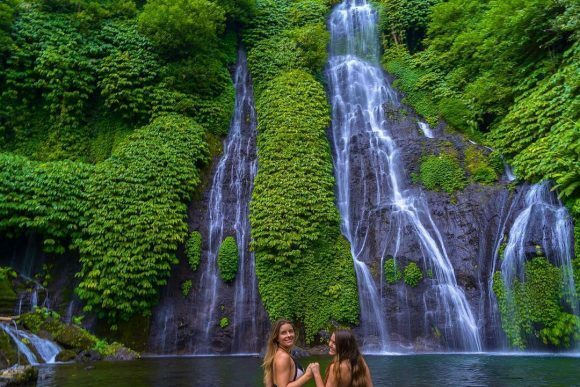 So, choose it Banyumala waterfalls as one of the tourist attractions in Bali your choice. 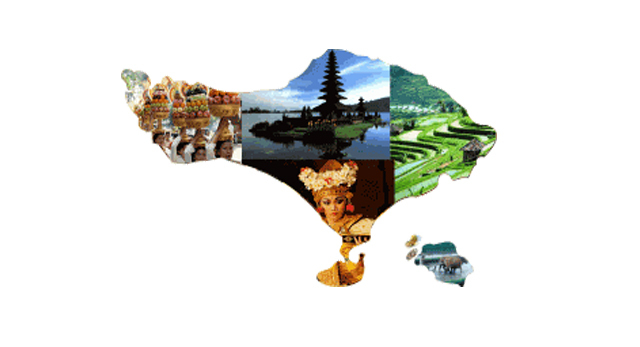 Happy Traveling and Enjoying Bali. Explore the Natural Beauty of the Bali Island.